HGGRC is featured in print, broadcast, and online media stories, including those below. Due to varying editorial policies, news publications may remove or change a link for archival purposes at any time without notice. Shelby Passed Her MS Defense! 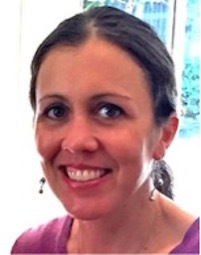 Congratulations to Shelby Fillinger for passing her master’s degree defense! Shelby’s thesis’ title is “Spatially Analyzing Groundwater Flow Paths within the Pearl Harbor aquifer of Oahu, Hawaii using 2000-2002 Pineapple Agrochemical Data.” Her thesis illuminated groundwater flow direction within the central corridor of O‘ahu by examining the concentrations of pineapple production agrochemicals in groundwater. 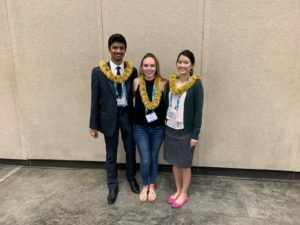 Using the legacy well contamination data, Shelby developed a geospatial statistics-based model of the groundwater flow path on O’ahu and utilized ArcGIS, and MATLAB. 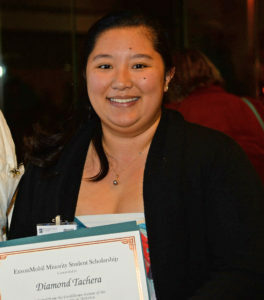 Shelby is a master’s degree student in Civil and Environmental Engineering at the University of Hawaii. 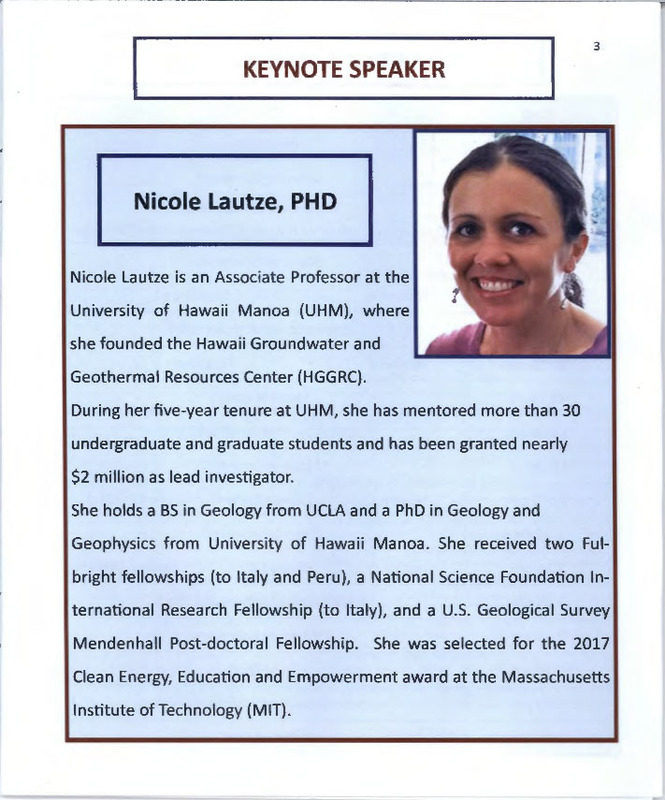 Congratulations to our Director Nicole Lautze: she has been appointed as the Associate Director of the Water Resources Research Center at the University of Hawaii at Manoa. Nicole’s excellence in research and project management will be tremendous assets for WRRC and the University. 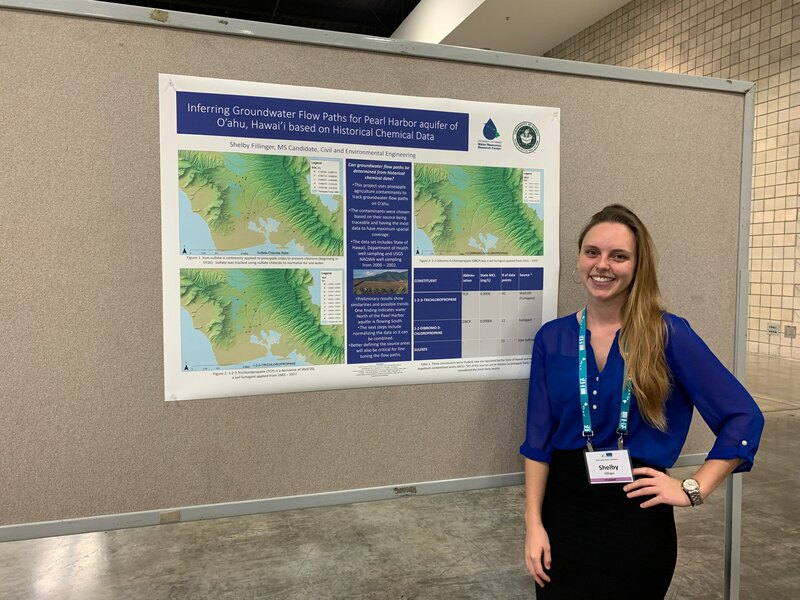 Congratulations to our graduate research assistant Shelby Fillinger for winning second place in the Hawaii Water Environmental Association student poster contest! 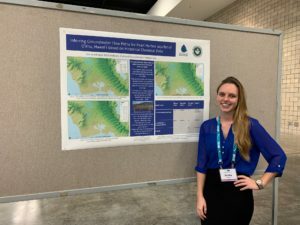 Titled “Inferring Groundwater Flow Paths for Pearl Harbor Aquifer of Oahu, Hawaii, based on Historical Chemical Data,” her poster describes her research project. Shelby has been using pineapple agriculture contaminants to track groundwater flow paths on Oahu. 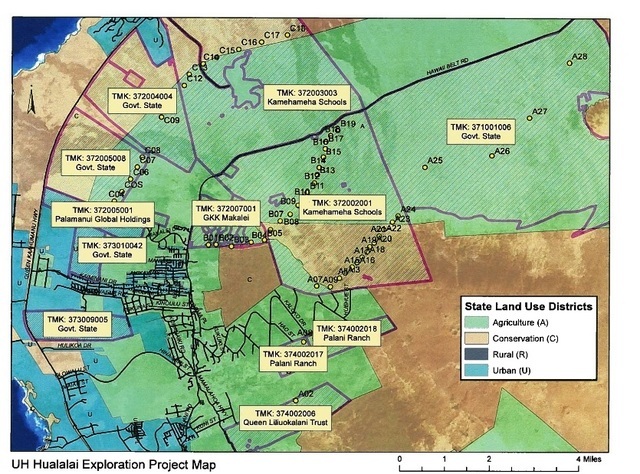 The data set includes state and federal government well samples from 2000 to 2002. 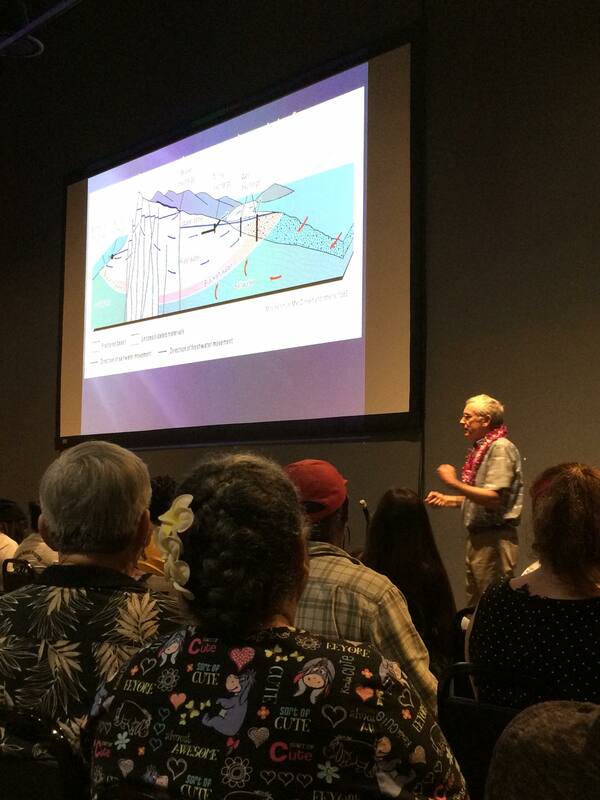 Preliminary results show similarities and possible trends, and water north of Pearl Harbor aquifer is flowing south. 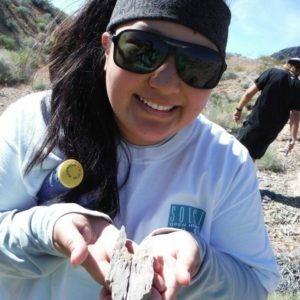 Shelby is a master’s degree student in Civil and Environmental Engineering, and our Director Nicole Lautze is her advisor. Congrats, Shelby! 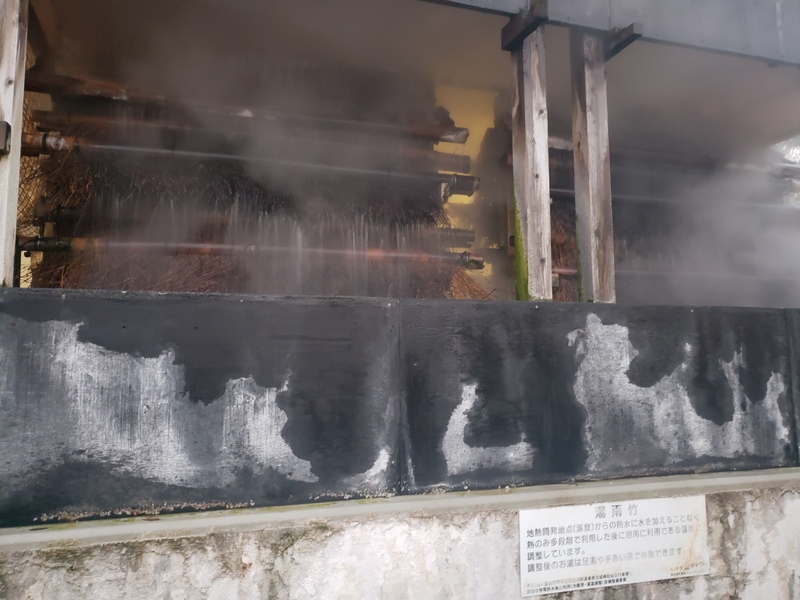 Since Fall 2018, our director Nicole Lautze has been serving as the acting project manager for the Hanapepe Salt Pond project. 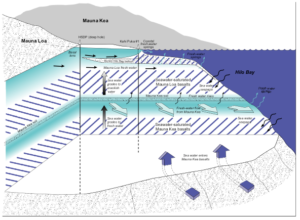 In southwestern part of Kauai Island, the project cares for the Hanapepe Salt Pond. 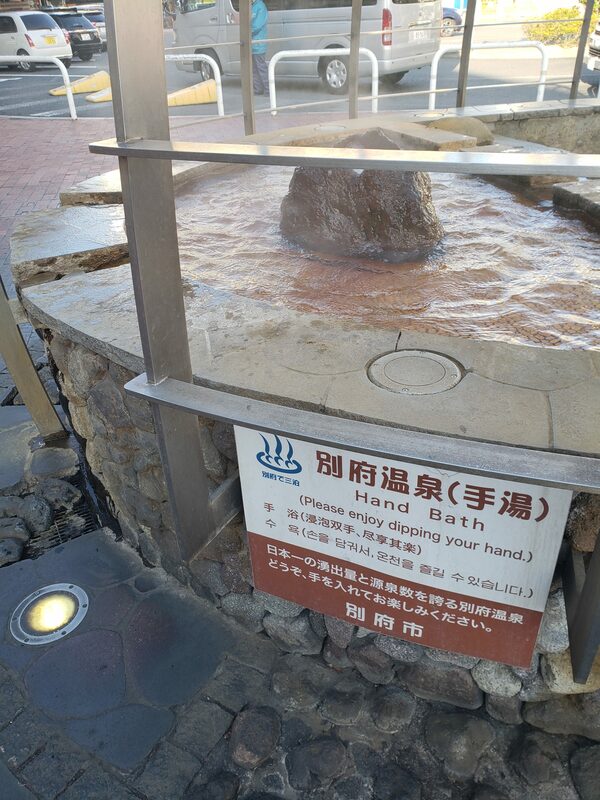 Historically, Native Hawaiians have used this pond for salt production for over a thousand years. Unfortunately, in recent years, the changing surrounding environment and water pollution have threatened this traditional pond. Hence, the pond needs stewardship to ensure it will survive for future generations. 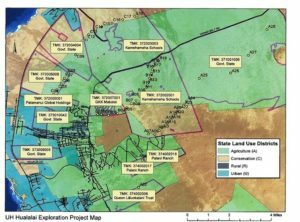 As for the project’s management, the UH Sea Grant College Program oversees this project, which receives funding from the Kauai County. 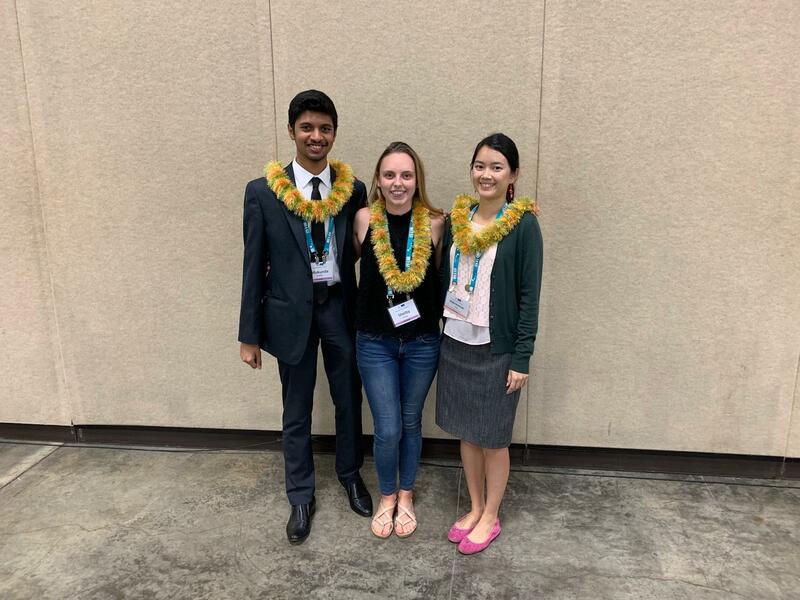 Congratulations to our graduate student Diamond Tachera for earning her master’s degree in geology and geophysics from the University of Hawaii at Manoa! She is now working on her PhD. Our Director Nicole Lautze serves as Diamond’s advisor. 3) how subsurface structures affect groundwater flow. In quarterly field trips to Kona, Hawaiʻi, Diamond has engaged with the community and learned their concerns about groundwater sustainability in Hawaiʻi. 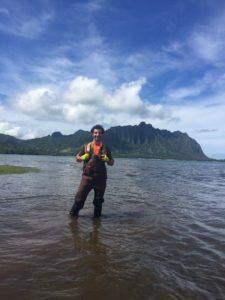 Meet Roy Hardy — the Groundwater Program Manager for the Hawaii State Commission on Water Resources Management. A civil engineer for the State since 1987, Roy oversees the management of groundwater across the state. For the Hawaii Scientific Drilling Project, Roy and our senior researcher Donald Thomas were exploring the Big Island’s deep freshwater aquifers. 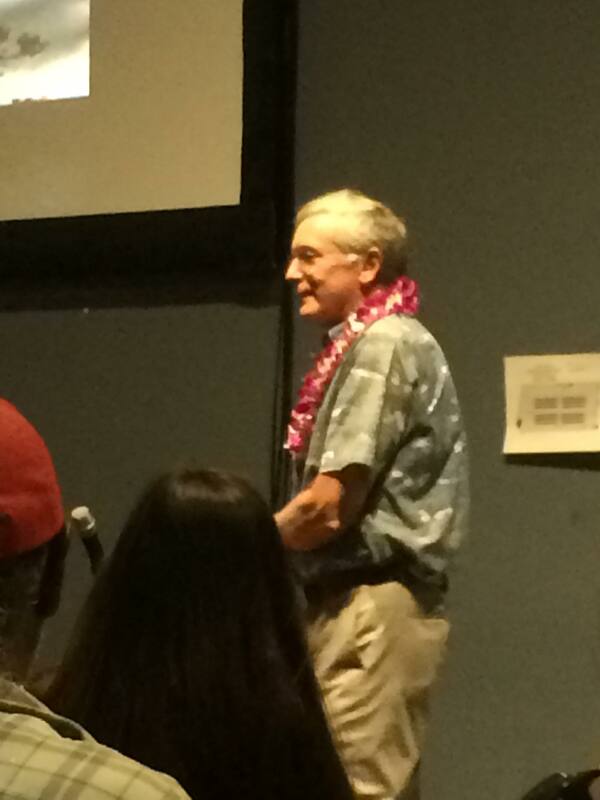 Roy serves on the advisory council for the Water Resources Research Center, University of Hawaii at Manoa. During his free time, Roy keeps physically fit with his wife and exercise partner Tisha Hardy. 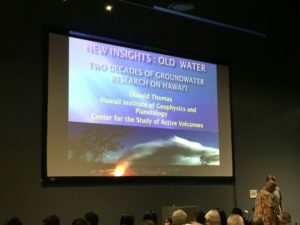 In a public presentation, “New Insights into the Groundwater Hydrology of Maunakea and Hawaiʻi Island,” our senior researcher Dr. Donald Thomas shared his lifelong research, which spanned more than two decades in Hawaiʻi Island’s groundwater system. 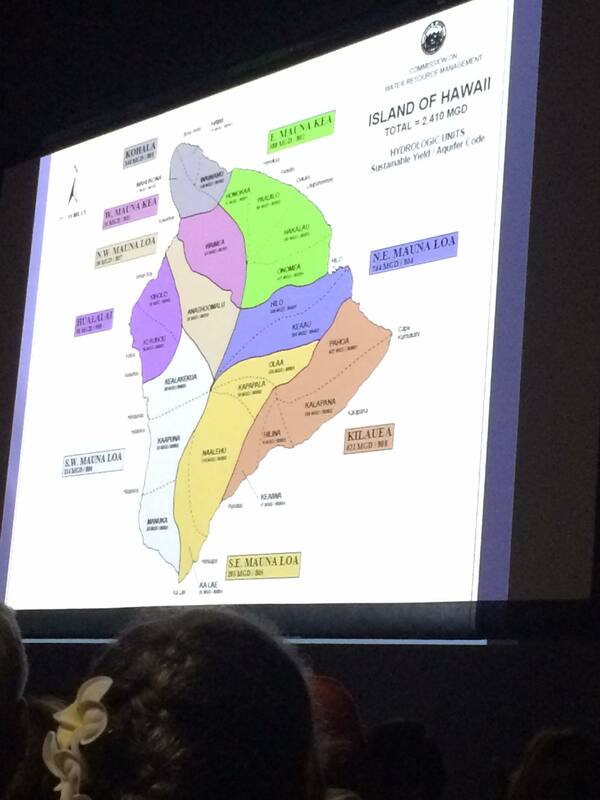 According to his research, the Big Island contains far more stored groundwater than originally thought. 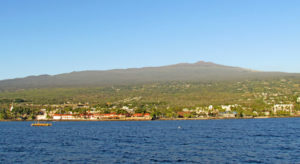 Geophysical surveys and cored research holes have identified buried geological structures, which are related to the volcanic history of each of the island’s volcanoes. These geological structures barriers can hold water for thousands of years and even force water to flow far below sea level. Dr. Thomas also discussed the implications of his finding for future management of Hawaiʻi’s water supplies. 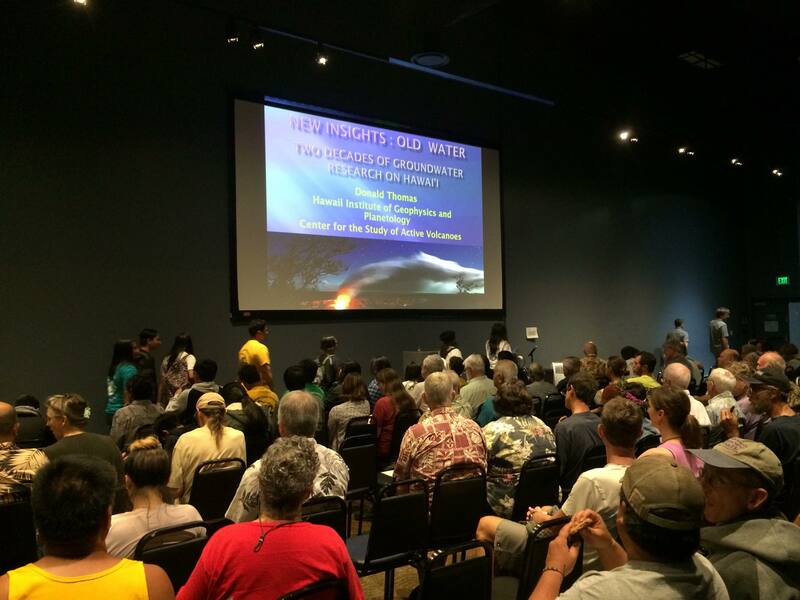 Over sixty people attended Dr. Thomas’ talk at the Moanahoku Hall, ʻImiloa Astronomy Center, Big Island, at 7 pm, Thursday, June 21, 2018. 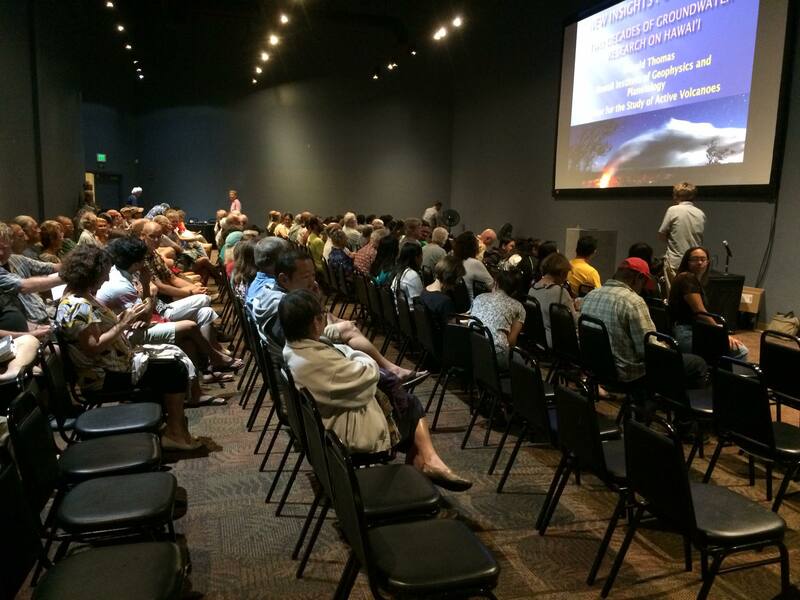 This presentation was part of the Maunakea Speaker Series. 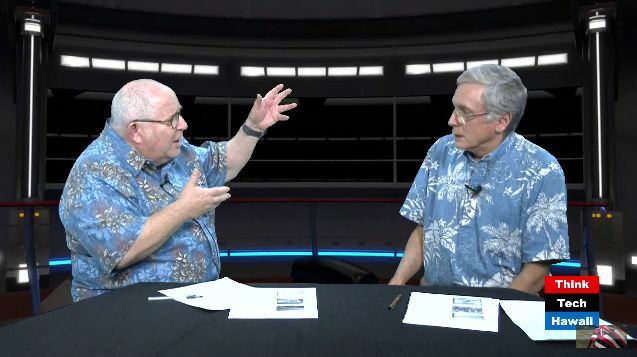 This monthly scholar-focused presentation series is offered as a partnership among the Office of Maunakea Management, ‘Imiloa Astronomy Center, and the University of Hawai’i at Hilo Department of Physics & Astronomy. This collaborative venture gives the community unprecedented access to fascinating research taking place on Maunakea and other topics unique to the Island of Hawai’i. 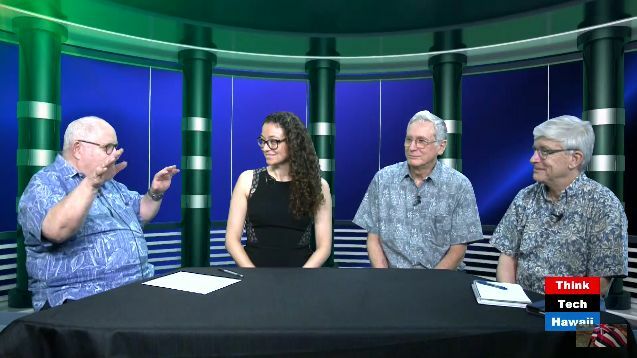 A venue for scholars to share their stories and learn from discussion, the series promotes understanding and collaboration across all sectors of the community, while addressing the goals of the University of Hawai’i at Hilo. 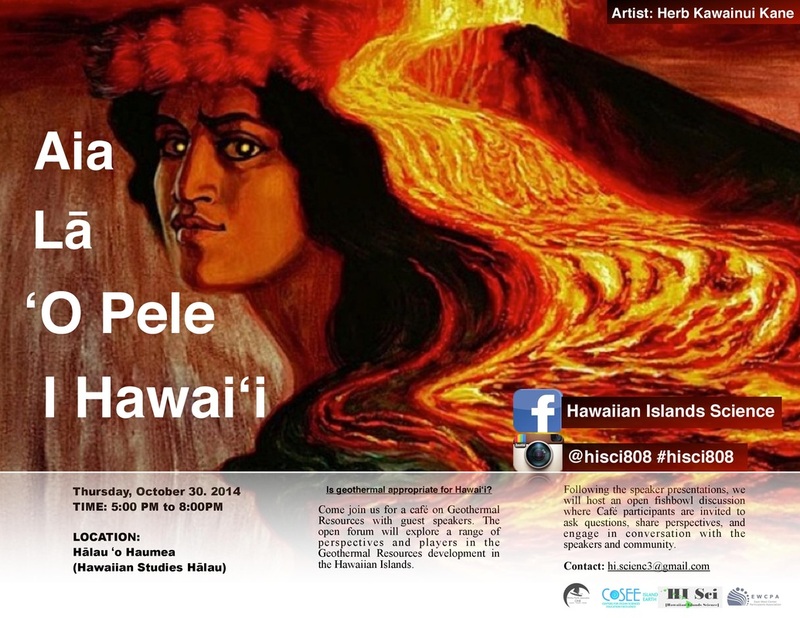 For more information visit malamamaunakea.org or call 808-933-0734. 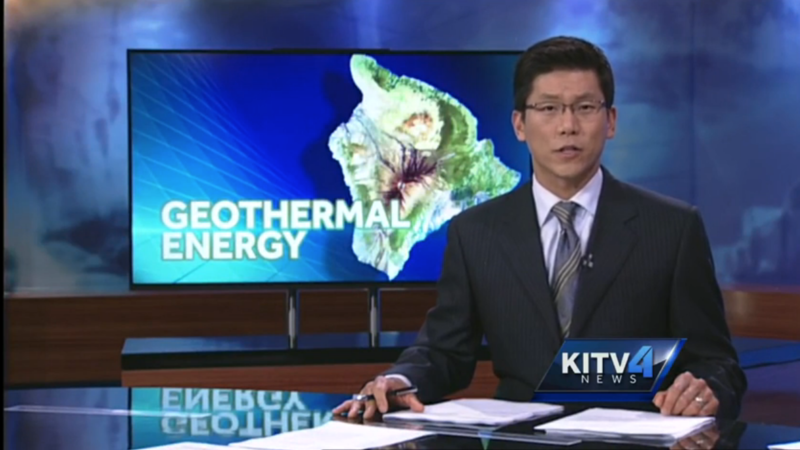 As Hawaii strives toward 100% renewable energy, geothermal represents the cheapest and most reliable baseload energy source. 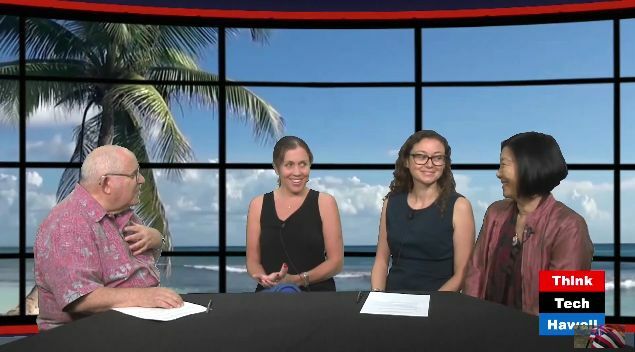 This week on Research in Manoa, Dr. Nicole Lautze joins Pete Mouginis-Marrk to discuss why geothermal energy is a viable energy resource for Hawaii, what is the relative cost, and where could we look? 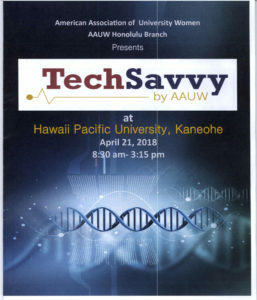 As the keynote speaker, our Director Nicole Lautze encouraged girls in grades 6 to 9 to pursue STEM fields at AAUW Honolulu’s Tech Savvy Conference (STEM = Science, Technology, Engineering and Mathematics). A successful female scientist, Nicole shared her STEM journey and gave words of wisdom to the 80+ girls at the conference. The Tech Savvy conference was a day-long conference to encourage young ladies to pursue STEM fields. This year’s conference took place at the Hawaii Loa Campus of Hawaii Pacific University in Kaneohe on April 21, 2018. The oldest continuous study of a terrestrial oil spill in the world began in 1983 by the U.S. Geological Survey. 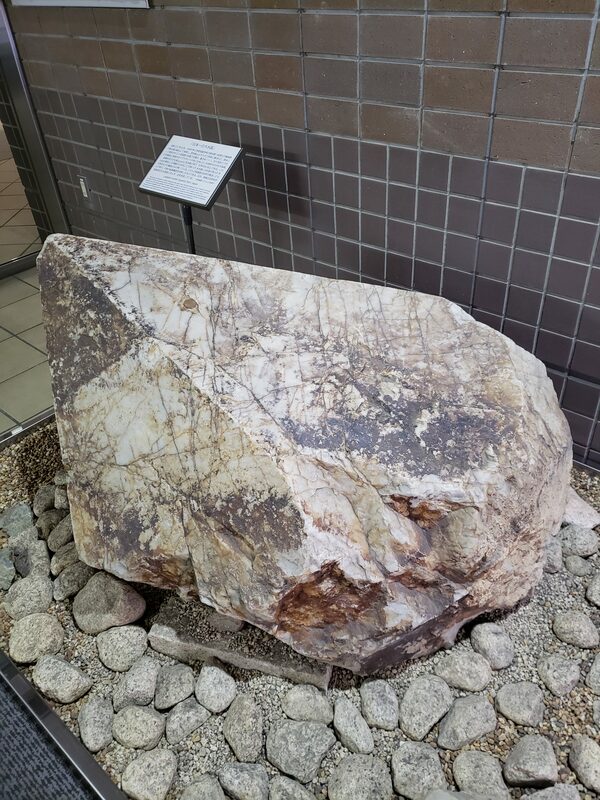 In 1979, over 10,000 barrels of a light, paraffinic crude oil spilled from a pipeline rupture onto forested land on the outskirts of the town of Bemidji in northern Minnesota. 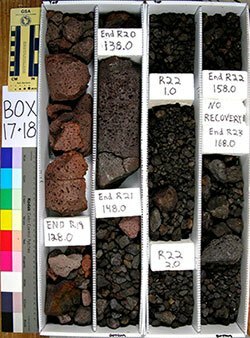 The oil composition is dominated by saturated hydrocarbons (58–61%), with aromatics representing most of the remainder. Each of these compound classes has different fates. The aromatic fraction, most notably benzene, has traditionally been of greatest regulatory concern because of its toxicity and mobility. The aromatics dissolve into in the groundwater according to their relative solubilities, and migrate as a contaminant plume. 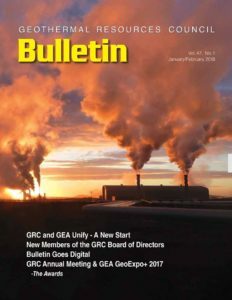 Today benzene concentrations in the oil are 22 to 42% of those in freshly spilled oil, and concentrations entering the groundwater are decreasing. 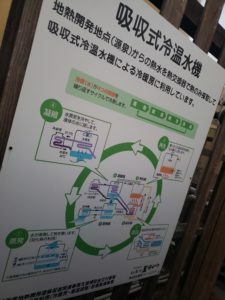 The saturated hydrocarbons are mostly poorly soluble alkanes that degrade within the oil body source zone to methane and CO2. Most of the produced methane migrates upward and is oxidized to CO2 and water, before reaching the surface. 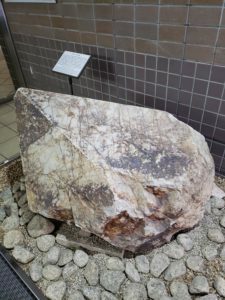 In the groundwater contaminant plume, benzene is biodegraded by iron-reducing bacteria, which utilize natural iron oxy-hydroxide coatings on the aquifer sediments. 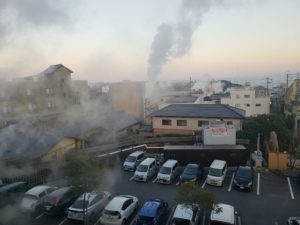 The largest organic carbon fraction in the contaminant plume consists of partial oxidation products of the oil compounds. 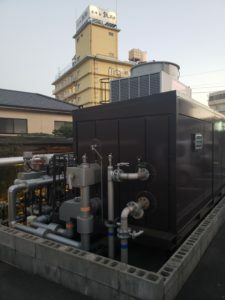 Over 14,000 individual compounds are present in this largely unregulated fraction, but concentrations and toxicity decrease with distance from the oil source as oxygen contents increase through biotransformation. 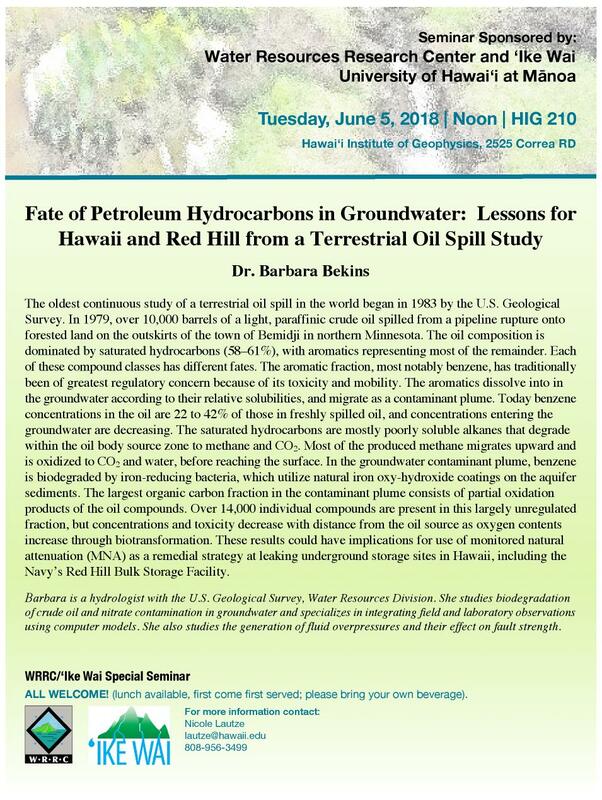 These results could have implications for use of monitored natural attenuation (MNA) as a remedial strategy at leaking underground storage sites in Hawaii, including the Navy’s Red Hill Bulk Storage Facility. 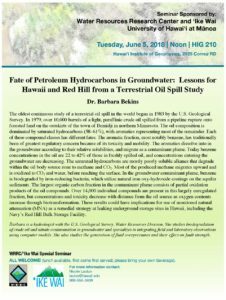 Barbara is a hydrologist with the U.S. Geological Survey, Water Resources Division. 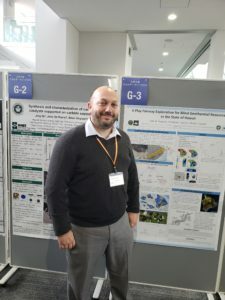 She studies biodegradation of crude oil and nitrate contamination in groundwater and specializes in integrating field and laboratory observations using computer models. She also studies the generation of fluid overpressures and their effect on fault strength. 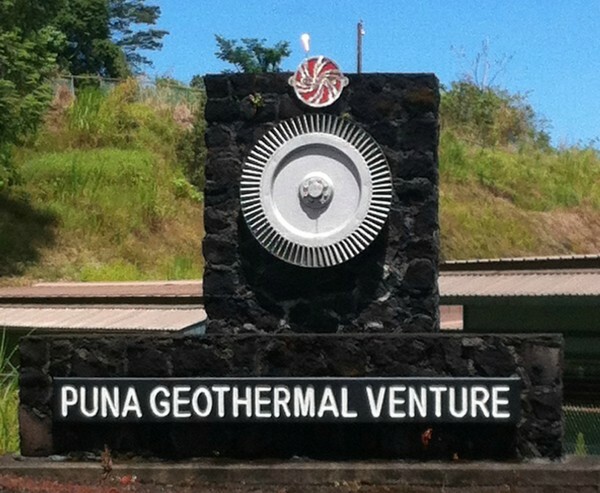 The U. S. Department of Energy, Geothermal Technologies Office announced the availability of funds in 2014 to spur geothermal energy development through PFA. The Hawai`i Play Fairway project, funded in part by DOE-Geothermal Technologies Office Award DE-EE0006729, sought to compile and integrate all geothermal-relevant data to show the probability of encountering a geothermal resource. 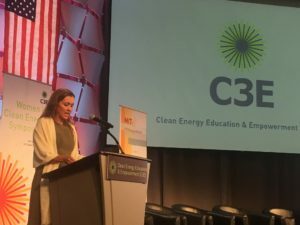 Geothermal Resource Council: Dr. Nicole Lautze Won the C3E Award! 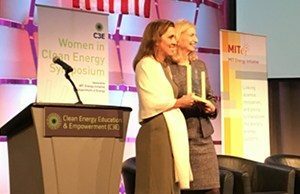 News from the Geothermal Resource Council: our director Dr. Nicole Lautze won the Clean Energy Education and Empowerment Award! Read all about it in their January/February 2018 issue! 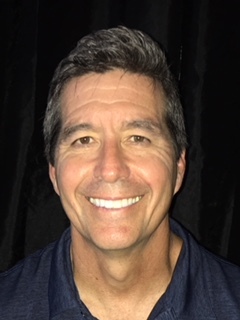 Congratulations to Dr. Donald Thomas — he won the 2018 Lifetime Achievement Award from the Western States Seismic Policy Council! The WSSPC Lifetime Achievement Award recognizes leaders in earthquake risk reduction. 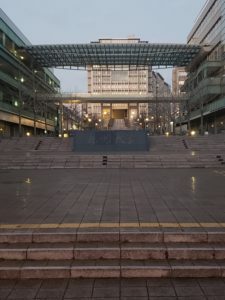 Throughout their careers, the recipients demonstrated an extraordinary commitment, level of service, and application of earthquake risk reduction to public policy. 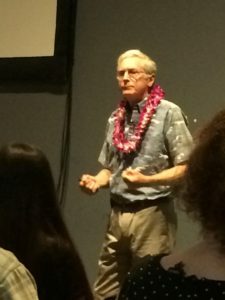 Donald Thomas, Ph.D., is the Director of the University of Hawaii (UH) at Hilo’s Center for the Study of Active Volcanoes (CSAV) as well as a long-standing member of the Hawaii Earthquake and Tsunami Advisory Committee (HETAC). For many years, Dr. Thomas has been doing the work necessary to keep people and the government fully educated and engaged – from scientific inquiry and research, to training and outreach, to undergraduate education – in hazards, mitigation, and monitoring of seismic activity. 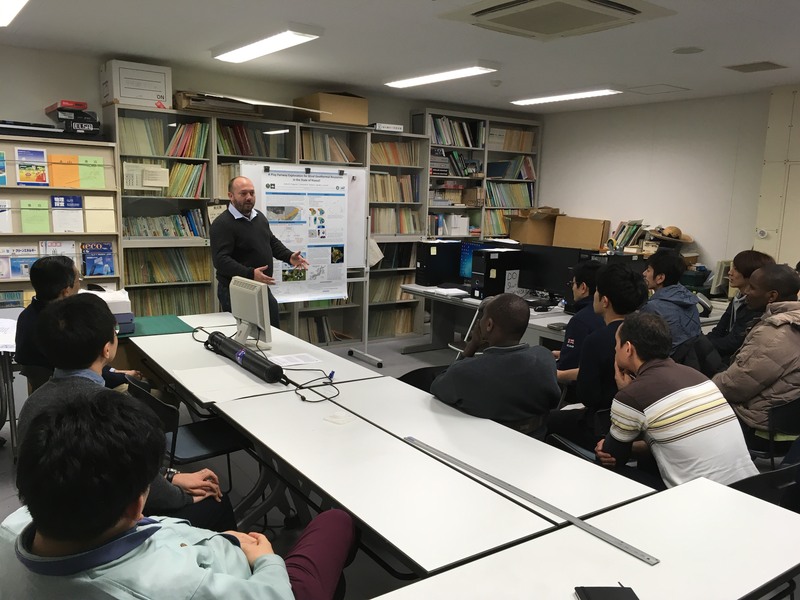 His dedication to the work has changed the way responders, builders, scientists, policy makers and the general public view, prepare for and respond to earthquakes. A noteworthy example of his tireless efforts to promote hazard mitigation and awareness in Hawaii is making home earthquake retrofits accessible to homeowners. 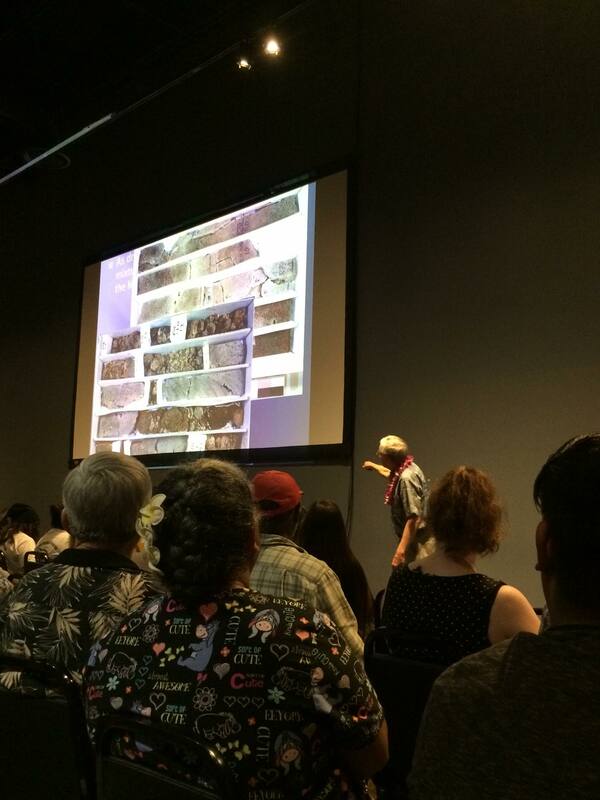 Don and his students took the detailed and complex designs for retrofitting post-and-pier foundations of homes damaged in the Kiholo Bay earthquake in 2006 and developed an online expert system that walked the homeowner step-by-step through the retrofit selection process. 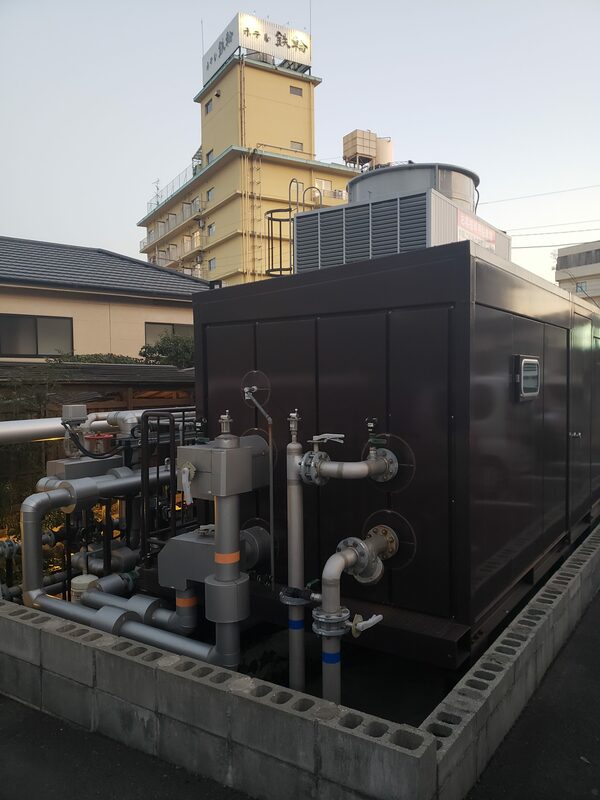 Based on identifying key elements of construction types, the expert system would determine the appropriate retrofit system, output construction drawings that homeowners or contractors could use to implement the retrofit, and provide a shopping list of hardware required to install the retrofit. 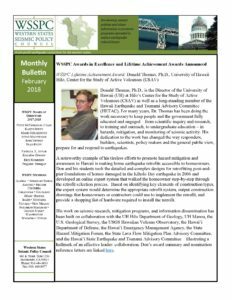 The WSSPC featured Don in its February 2018 newsletter (bottom image — click to enlarge). 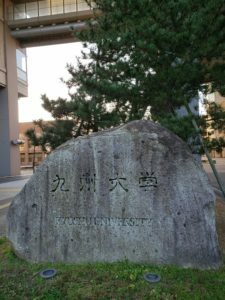 The Western States Seismic Policy Council is the primary regional organization representing the western states, Pacific provinces, and territories supporting policies of the earthquake and tsunami programs that will reduce losses from earthquakes and their effects. 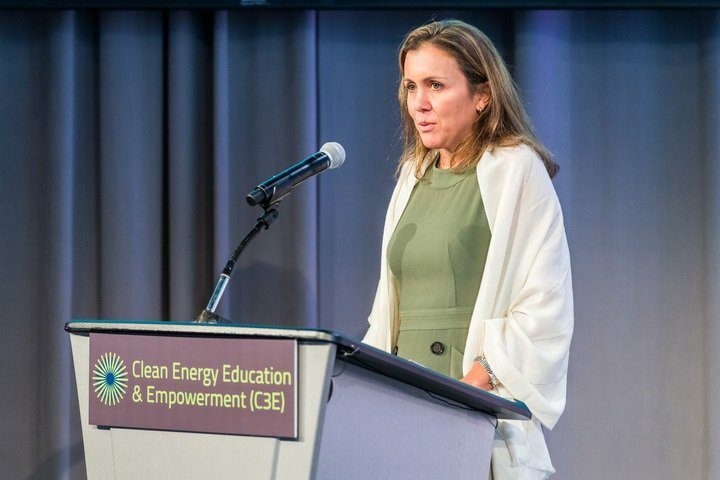 Our director, Dr. Nicole Lautze won the Clean Energy Education & Empowerment Award for Education. She accepted her award at the sixth annual C3E Women in Clean Energy Symposium in Cambridge, MA, on November 15, 2017. 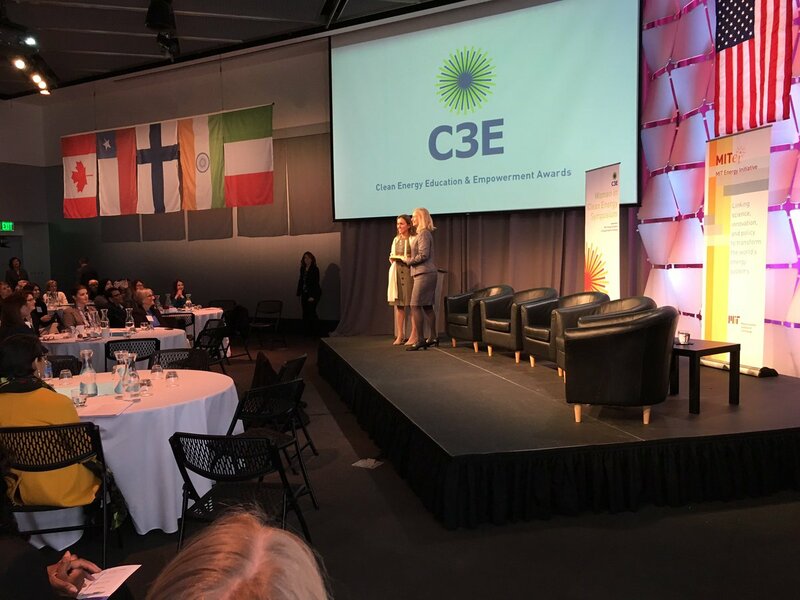 The U.S. C3E Awards recognize mid-career women who have demonstrated outstanding leadership and accomplishments in clean energy. MITEI and the Stanford Precourt Institute sponsor these awards. 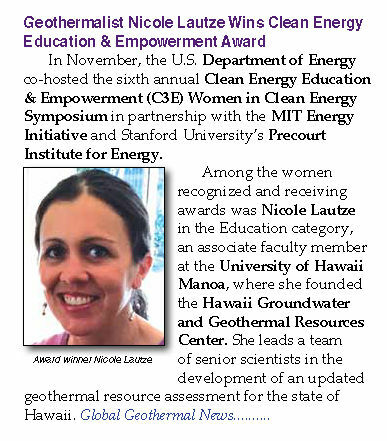 Nicole Lautze is Associate Faculty at the University of Hawaii Manoa (UHM), where she founded the Hawaii Groundwater and Geothermal Resources Center (HGGRC). During her five-year tenure at UHM, she has mentored more than 30 undergraduate and graduate students and has been granted nearly $2 million as lead investigator. She leads a team of senior scientists in the development of an updated geothermal resource assessment for the state of Hawaii. 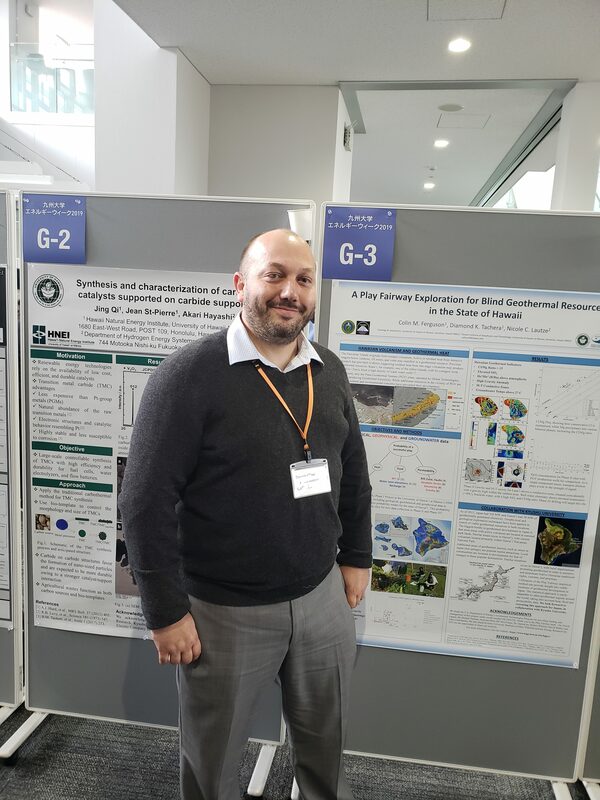 The resource assessment involves the compilation and collection of geological, geochemical, and geophysical data across the state, and the development and implementation of a statistical methodology that integrates the data into a geothermal resource probability map. She previously led a geothermal digitization effort for the state that culminated in the launch of www.higp.hawaii.edu/hggrc in 2015. 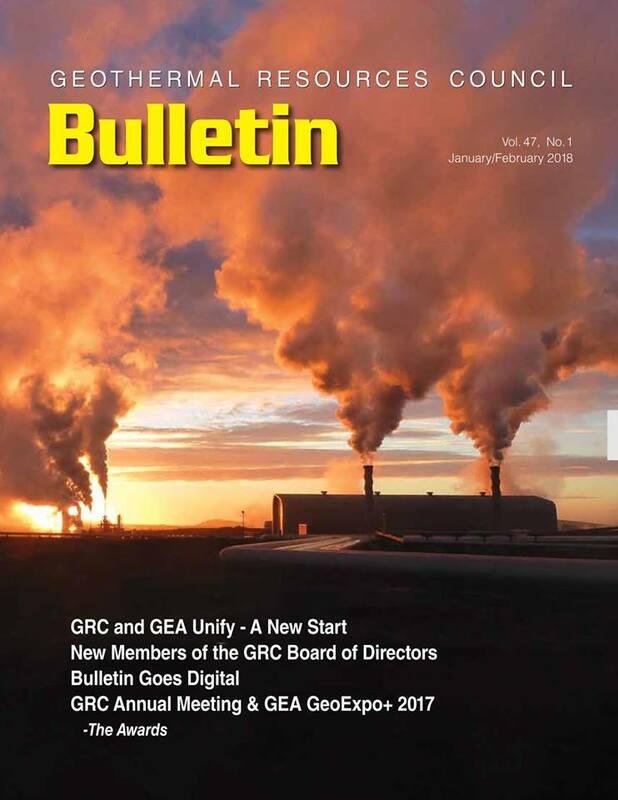 The HGGRC website is a community resource that has received tens of thousands of hits and more than 150,000 document downloads since launch. 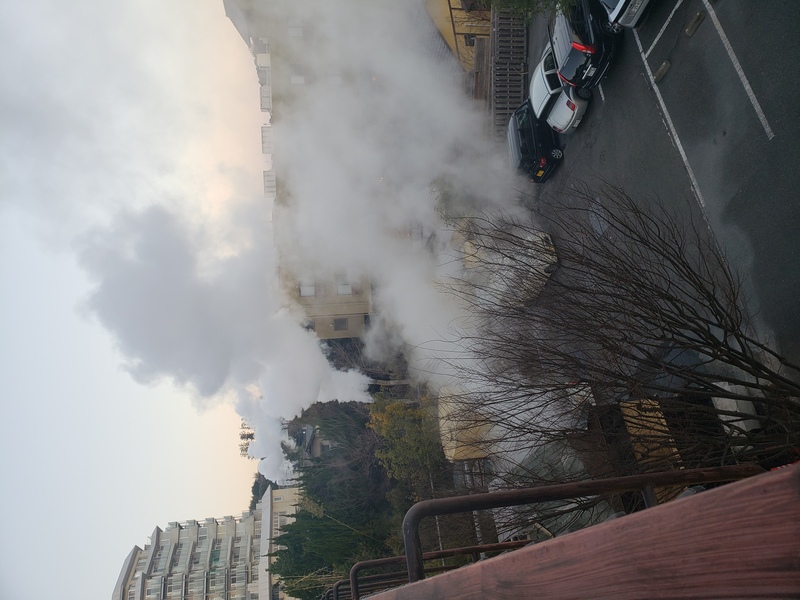 The Hawaii legislature set a policy objective that the state be 100% renewable by 2045, but there is surprisingly little discussion of better characterizing the state’s geothermal resource potential, a situation that Lautze is trying to change. 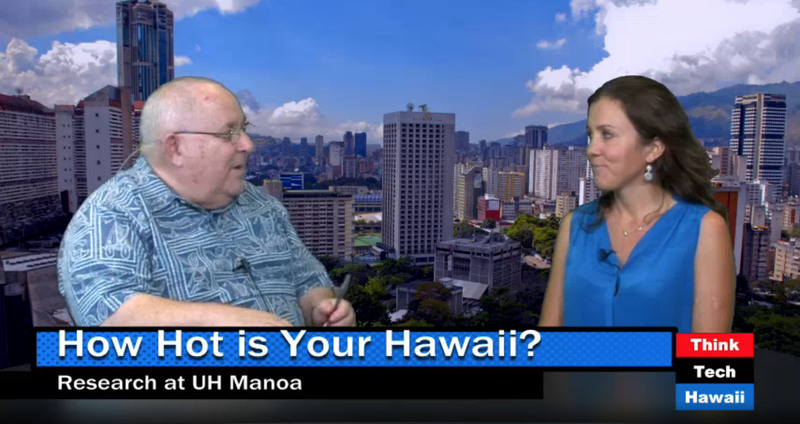 She holds a BS in Geology from UCLA and a PhD in Geology and Geophysics from University of Hawaii Manoa. She received two Fulbright fellowships (to Italy and Peru), a National Science Foundation International Research Fellowship (to Italy), and a U.S. Geological Survey Mendenhall Postdoctoral Fellowship. 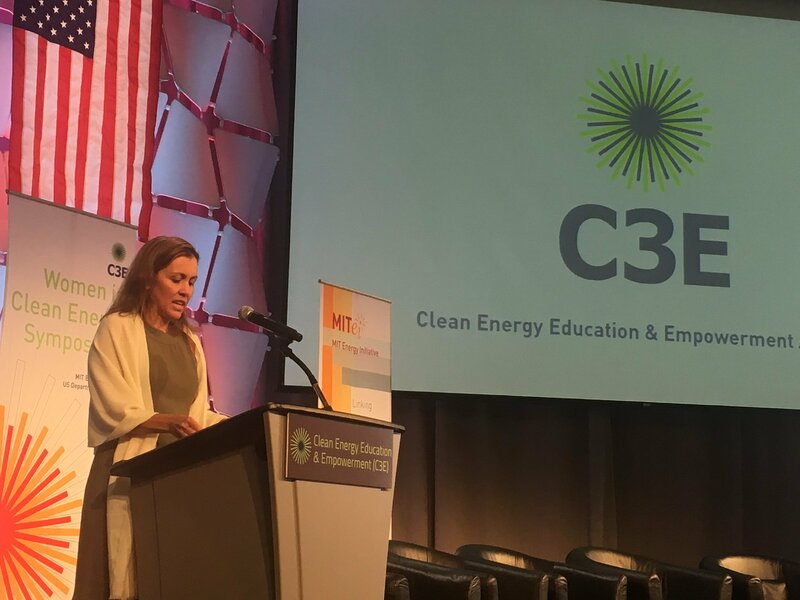 KITV’s morning segment congratulates Dr. Nicole Lautze for winning the 2017 Clean Energy Education & Empowerment (C3E) Award. 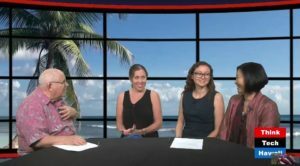 Dr. Nicole Lautze discusses geothermal and clean energy in Hawaii with host Jay Fidell and Sharon Moriwaki (co-chair of the Hawaii Energy Policy Forum). 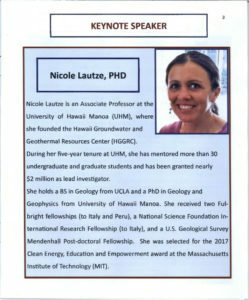 Dr. Nicole Lautze shares her research on geothermal and sustainable energy, physical volcanology and natural hazards. We learn how Nicole’s work has advanced the Hawai’i Groundwater & Geothermal Resources Center. 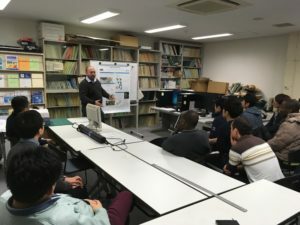 Dr. Donald Thomas’ remarks at the recent Science Cafe meeting and his research at the Center for the Study of Active Volcanoes. Advances in Hawaii’s Renewable Energy Resources: Where Are We? 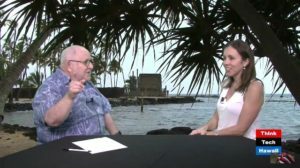 How far along is Hawaii in terms of its renewable energy goals? 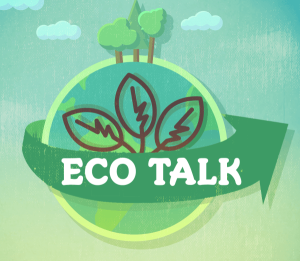 Which renewable generation sources have been the most effective thus far? 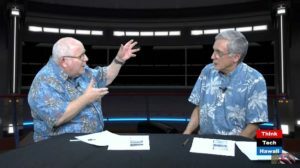 The Hawai‘i State Energy Office’s Renewable Energy Branch Chief, Veronica Rocha, and Donald Thomas of the Center for the Study of Active Volcanoes address these questions. 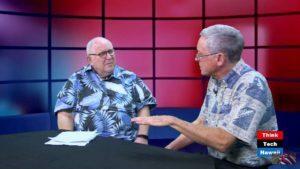 Dr. Donald Thomas and Jay Fidell discuss new techniques for looking underground. 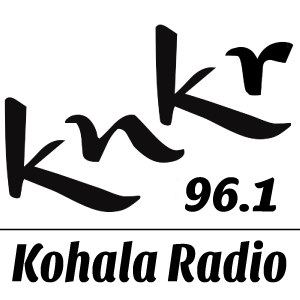 Geothermal energy was the topic on the show Eco Talk, aired on Kohala radio KNKR 96.1, with the show’s host Holly Algood and Dr. Nicole Lautze as a guest. 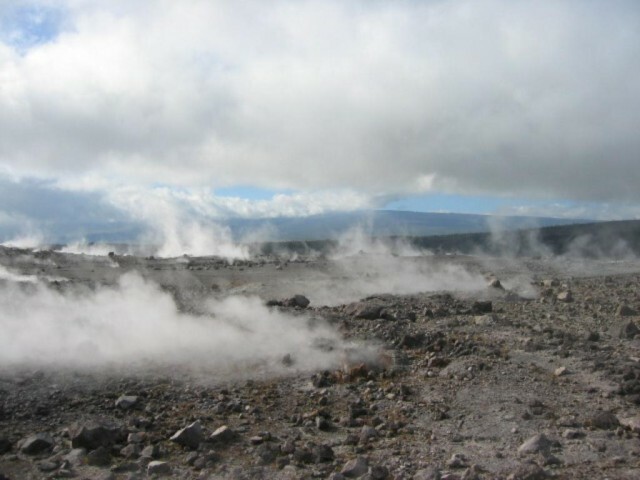 Geologists want to see if there is energy under the volcano that can be tapped for geothermal power. 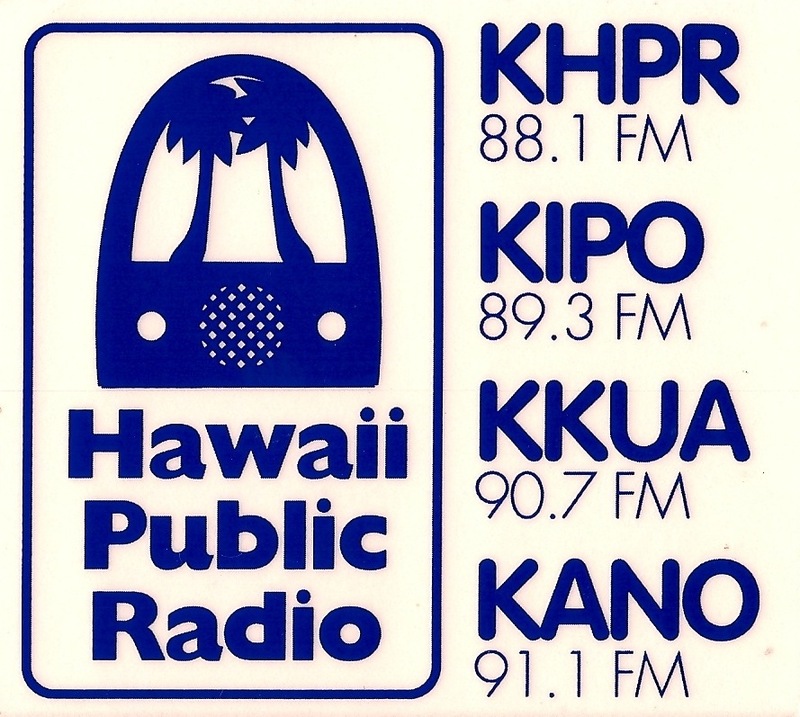 Dr. Lautze’s interview regarding HGGRC aired on Hawaii Public Radio (an affiliate of NPR). Aia lā i ʻo Pele i Hawaiʻi: There is Pele in HawaiʻI Is Geothermal Energy Appropriate for Hawaiʻi? 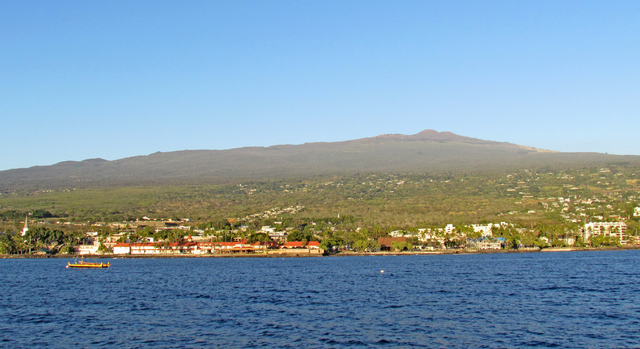 “Unexpectedly high water in the Humuula saddle region, between Mauna Kea and Mauna Loa, prompted a University of Hawaii researcher to seek a new site for additional tests. 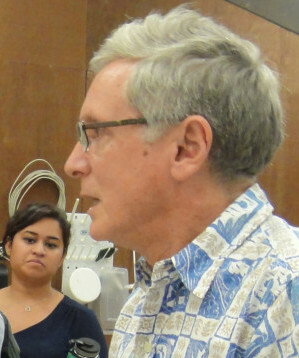 Donald Thomas, director of the university’s Center for the Study of Active Volcanoes, in 2012, received permission to drill two bore holes to collect core samples. 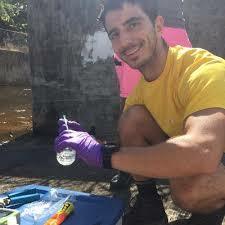 While drilling the first sample, Thomas said, scientists got some interesting preliminary results. “We found water that was at a higher elevation than expected,” Thomas said. 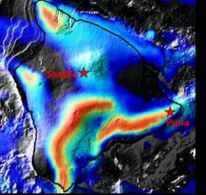 They found the first thin band of water about 500 feet below the surface. A thicker band was present at about 700 feet, and a regional water table was at 1,800 feet, Thomas said. “That’s considerable shallower than we anticipated,” he added.